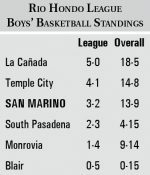 Kylie Bonavich scored 12 points and grabbed 12 rebounds in San Marino’s 44-31 victory over Monrovia. 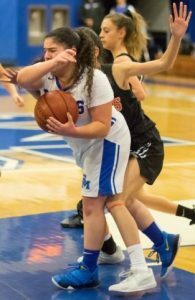 San Marino senior Angelina Karepetyan recorded three steals against the Wildcats and scored five points in the Titans’ loss to Temple City. 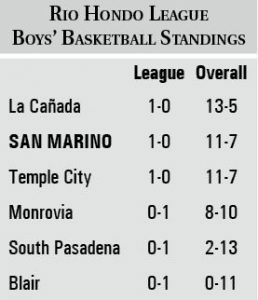 The San Marino High School varsity girls’ basketball team earned their first Rio Hondo League victory of the season by defeating visiting Monrovia, 44-31, on Tuesday, Jan. 8.